The Witcher 3's Konrad Tomaszkiewicz claims its paid expansions will be almost the size of its previous title, The Witcher 2. 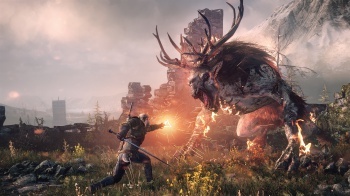 CD Projekt Red's sprawling open world RPG The Witcher has both free DLC and paid expansions. At $24.99, these expansions would have to promise quite a bit of content to satisfy gamers who've been getting a steady trickle of free DLC. Thankfully, developer Konrad Tomaszkiewicz promises that the expansions will be packed so full of content, that they will be close to the size and scope of The Witcher 2 alone. Hearts of Stone, the first expansion pack for the game, launches sometime this autumn, while the second pack, Blood and Wine will be available early 2016.